Here's what 3 women had to say! 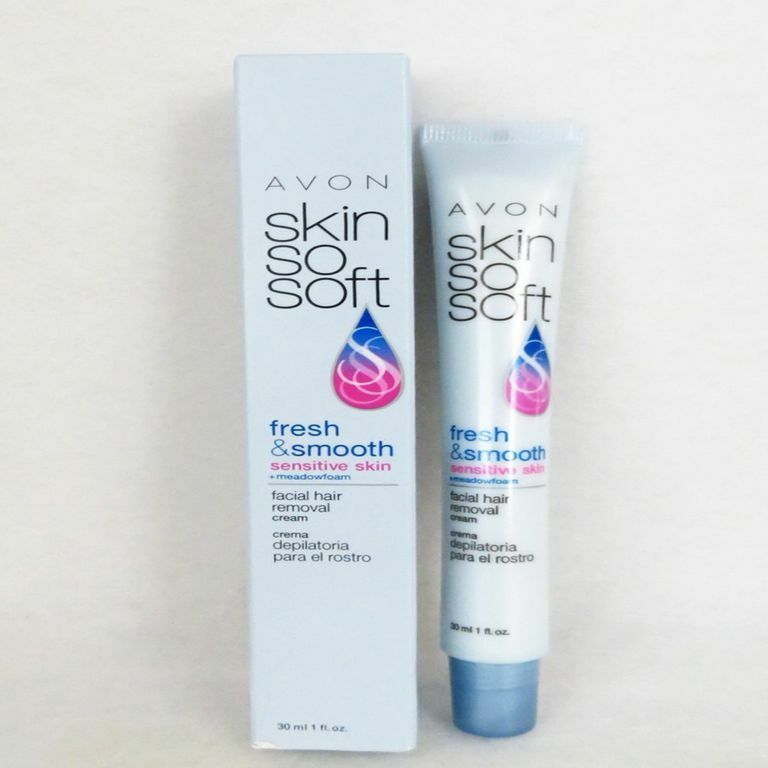 Other than the smell, I have to admit this Avon facial hair removal cream is an excellent product and deserves a spot in your medicine cabinet. The tube should last several applications and is well worth the money. Depilatories work by breaking down the keratin in hair so that it can be wiped off. There are countless depilatory products, some that also come as lotions or sprays. There are those that are especially formulated to remove hair on the bikini zone, products geared toward men's thick body hair and then ones like we have today-- for sensitive facial skin. I had a hair removal party and used this product on three different hair and skin types. Let me say, trying to come up with an invitation for that was a bit difficult! We tried several different types of hair removers, but the number one for the evening was this depilatory cream by Avon. Picture three girls, with relatively thick mustaches and even one person with what she called her goatee. They all used the Avon hair removal cream on their faces. We'll call the first victim, or guinea pig, "Elizabeth." She has blond, thin hair and tends to have sensitive skin and breaks out with most make-up and skin care products. She had a slight mustache that she was not fond of and would normally shave it every day. She used to wax but with trying to stay on a budget, she has to watch every penny. She simply used the tube and smoothed on a thick layer over her top lip and left it on for two minutes and three seconds. Yep, we had a stopwatch. Voila. All her hair was gone. She didn't have any redness, bumps or tightness and said her upper lip felt very soft. She was pleased with the outcome. The second girl to try the product was "Nelah." She had the same mustache going on, except her facial hair is black and thick. She has normal skin with no dryness. I must add that she is from India, and beautiful without the extra facial hair, but with it, wow. Let's just say I was happy to have her try the product. She simply applied cream and waited for three minutes and 23 seconds. She has tried cream hair removers before and has always had to leave them on for much longer than recommended. Using a warm damp cloth she revealed her beautiful hairless face. There was no redness or puffiness, and her face felt soft. Although she could do without the "nasty smell," as she put it. Next up was the lovely "Gretchen." She has drier skin with brown, thick hair that tends to be coarser. She did the same by smoothing the product over her lip and chin area. She waited the exact two minutes and 30 seconds and removed it to reveal her hairless lip and chin. She said she didn't have to press hard to remove the hair. Her upper lip felt tight but not dry, and she had no redness or red bumps. She said it beat the painful waxing she's been doing for years. The only downfall that these girls and I found was the awful scent of the product. It didn't smell fresh or clean. It did its job well and lived up to everything the product information stated. See more hair removal methods and products on how to remove facial hair. Can Wunderbrow Fix Ultra Sparse Eyebrows?